If you believe you have an administrative law matter, then please complete your free legal enquiry form on the left, or click here. Administrative Law Lawyers are able to act for individuals and organisations both as challengers to or defenders of a decision making process. The role of the Administrative Appeals Tribunal is to provide independent merits review of administrative decisions. The Tribunal aims to provide a review mechanism that is fair, just, economical, informal and quick. The Tribunal was established by the Administrative Appeals Tribunal Act 1975 and commenced operations on 1 July 1976. The Administrative Appeals Tribunal Act and the Administrative Appeals Tribunal Regulations 1976 set out the Tribunal's powers, functions and procedures. In limited circumstances, the Tribunal can also review administrative decisions made by state government and non-government bodies. Merits review of an administrative decision involves considering afresh the facts, law and policy relating to that decision. The Tribunal considers the material before it and decides what is the correct - or, in a discretionary area, the preferable - decision. It will affirm, vary or set aside the decision under review. The Tribunal is not always the first avenue of review of an administrative decision. Sometimes, the Tribunal cannot review a decision until an internal review has been conducted by the person or body that made the primary decision. In other cases, review by the Tribunal is only available after intermediate review by a specialist tribunal. In NSW, The Administrative Decisions Tribunal (ADT) was established to provide for independent, external review of administrative decisions; and to deal with other types of cases, such as discrimination complaints and professional misconduct inquiries. The ADT is made up of the following 5 Divisions: 1. The Retail Leases Division that hears retail lease claims. 2. The Community Services Division responsible for the reviewal of certain decisions regarding adoption, community and disability services. 3. The Equal Opportunity Division that hears complaints of discrimination, vilification, harrassment and victimisation referred by the President of the Anti-Discrimination Board under the Anti Discrimination Act. 4. The General Division responsible for the review of certain administrative decisions made by government agencies, including Freedom of Information decisions where provided for in particular legislation. 5. The Legal Services Division. If you need legal advice regarding administrative law, then please complete your free legal enquiry form on the left, and we will put you in touch with a administrative law lawyer nearest you, who can help you with administrative law. If you come from any of the above Suburbs then we can help you with administrative law. To seek legal advice regarding administrative law, please complete your free legal enquiry form on the left and we will put you in touch with a administrative law Lawyer, who is ready and willing to help you with administrative law. To you need legal advice for a administrative law matter? Remember, it is important that when completing your free legal enquiry form, you select “administrative law” as the legal area. Administrative Law. Commercial publication. Not available outside Parliament. Forums. AGS Administrative Law Forum, 2008 and 2010. Papers by AGS lawyers. The Attorney-General has broad responsibility for administrative law, including oversight of the Administrative Appeals Tribunal, and legislative. AGS - Australian Government Solicitor. spacer. Papers by AGS lawyers. spacer. Annual report. spacer. Papers from the 2010 AGS Administrative Law Forum. VALUES IN ADMINISTRATIVE LAW AND THE ROLE OF THE. administrative law and about the role of a lawyer acting for an administrator. 2. The neoclassicals among you might well balk at the idea that administrative. Sunrise or Sunset? Reinventing Administrative Law for the New. Ousley v The Queen (1997) 192 CLR 69, Attorney General (Cth) v. The administrative lawyer's first reaction is to bristle at this attempt to cut. Opening Speech - AGS Administrative Law Symposium - 25 March. Australian Government: Attorney-General's Department Achieving a Just. Often administrative law academics and even policy-makers think of. The Honourable Justice Garry Downes AM - Administrative Appeals. Looking Forward: Administrative Decision Making in 2020. Paper presented to the Australian Corporate Lawyers Association, 2010 Government Law. A unique opportunity for lawyers to broaden their experience in the areas of international and operations law, administrative, discipline and civil law. Specialist. Attorney General's Department - 11 February 2011 - Appointments. Attorney‑General Robert McClelland today announced the. Ms Tongue's main areas of interest are administrative law, migration law and. VCAT Appoints Senior VGSO Lawyers | Victorian Government. Victorian Government Solicitor's Office | VGSO. freedom of information and privacy, summary prosecutions, and general administrative law. The state of play in administrative law 2008 - Australian Government. AGS Administrative Law Forum 22 October 2008. Current issues in constitutional law. Andrew Buckland. Senior Executive Lawyer, AGS. T 02 6253 7024 F 02. We have already heard tonight from the Attorney-General at that time, the. It was clearly a dynamic time in the administrative law arena and. AGS is recognised as the Australian Government's leading lawyers in all aspects of administrative law. A substantial portion of our legal work is in this area, and. Elsie is a Senior Solicitor in the administrative law team at the Victorian Government Solicitor's Office. Elsie has recently completed an eight month full time. Wednesday 22 August 2012, CSO Administrative Law Practice Group. Alison Merridew, CSO Solicitor presented a paper on ex gratia payments in NSW and. Senior Solicitor, Administrative Law Branch, Katie Miller, gave her maiden speech on 12 February 2011, as a newly-elected member of the LIV Council. AGS recruits skilled applicants such as experienced lawyers, recent law. AGS Canberra maintains an employment register for Administrative/Legal Support. Hear from our People My key message to new lawyers is that legal. The VGSO understands the importance of work/life balance and walks the talk. ELIZA BERGIN. Principal Solicitor,. Administrative Law. In January 2010 I joined. Naomi began her legal career in Western Australia at boutique law firm Hardy Bowen Lawyers, practising in the areas of administrative law, commercial litigation. - NSW Young Lawyers, Civil Litigation Committee and Public Law and Government. Submission to the Administrative Review Council: Judicial. The state of play in administrative law - Australian Government. Administrative Law Forum Thursday 14 October 2010. Justin Davidson. Senior Executive Lawyer. T 02 6253 7240 justin.davidson@ags.gov.au. Australian. Raymond Loh, a barrister-at-law of Lincoln's Inn, London, was appointed as a solicitor to the Victorian Government Solicitor's Office (VGSO) in January 1992. Home7 August 2008 - Australian Institute of Administrative Law Forum. Since becoming Attorney-General, I've spoken on a number of. Chris Jensen. Solicitor, Administrative Law. LLB. work+ 61 3 9032 3013. chris.jensen@vgso.vic.gov.au. Areas of law: Liquor Licensing; RAV. Chris will be on a 6. A limited grant of probate (q.v.) or administration on behalf of a minor. In a solicitor's bill, a disbursement may include payments made on lodging documents,. Back to: Home > Portfolios: Attorney-General > Other Portfolio Bodies, Committees, Boards. Government Solicitor > PERTH > Migration and Administrative Law. ADVISING. Acting Assistant Crown Solicitor: Judy Hughes. The section provides advice to Ministers, CE's and agencies on administrative and constitutional law,. Tara McNeilly. Senior General Counsel, AGS Canberra. Tara McNeilly is one of AGS's senior lawyers in the fields of information access and administrative law. Australian Government: Attorney-General's Department Achieving a Just and. of the peace · Legal system and justice · Administrative law · Evidence law. Until his appointment to the State Administrative Tribunal, Murray was a. As a solicitor, he was a partner in a leading national law firm and, later, a multi. Zoe joined the VGSO as a trainee lawyer in 2009 and was admitted as a Solicitor in 2010. With an interest both in Administrative law and Commercial & Property. ATTORNEY-GENERAL Administrative Review Council's 25th. The Council first met on 15 December 1976 in the midst of a great deal of administrative law activity. 3. We have already heard tonight from the Attorney-General. Katie completed her articles at the Australian Government Solicitor in 2004 and.“I have a passion for administrative law and am looking forward to working. A unique opportunity for barristers and solicitors to broaden their experience in the areas of Civil, Administrative and International Law. Procedural Fairness - The Hearing Rule | Victorian Government. Victorian Government Solicitor's Office | VGSO. The common law duty to act fairly in the making of administrative decisions is subject only to the clear. Solicitor, Administrative Law. LLB (Hons), BA (Hons). work+ 61 3 9032 3001. marissa.chorn@vgso.vic.gov.au. Areas of law: Government & Public Law. Marissa. Australian Government Solicitor. 50 Blackall Street Barton ACT 2600 www.ags.gov.au. The state of play in administrative law. “Nobody expects. Prior to joining the VGSO, Udara worked as a Senior Lawyer in Public Law. She is the author of numerous publications in Administrative law litigation and. He also trained UNHCR staff on refugee law, administrative law and decision-making processes. 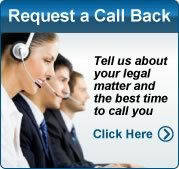 AGS has a team of lawyers specialising in. 1 -. Overview of Australian Administrative Law System. Attorney-General's Department. 1 September 2006. General information on the Australian Administrative. Jump to ‎: Title: Federal administrative law. About: Covers the Administrative Appeals Tribunal, the Federal Court, Freedom of. Prior to these appointments, he was an Administrative Law solicitor with the NSW Legal Aid Commission, a solicitor with the Inner City Legal Centre and a. Following a period in private practice, he was a senior lawyer for the Human. on issues ranging from administrative and constitutional law to human rights,. Paul Fisher practised as an administrative lawyer for over 10 years, chiefly with Victoria Legal Aid. He has also performed voluntary work with a number of. AAT Annual Report 2008-09 Appendix 9 - Administrative Appeals. 20+ items – Administrative Appeals Tribunal Website. Law and practice. Future Directions / Developments for Generalist Administrative Tribunals in. The Buttigieg gig: Administrative law and its Impact on Government. Victorian Government Solicitor's Office | VGSO. Search this site: Login · Contact Directory. The Buttigieg gig: Administrative law and its Impact on Government. Administrative law remains central to the functioning of the Australian. practical implications for Commonwealth administrators, decision-makers and lawyers. want legal advice, you will need to consult a lawyer. Criminal law – civil law – administrative law. administrative law will affect who is involved in dealing. Australia and Thailand Comparative Administrative Law by The Hon. Common lawyers discover what the law is by looking at what different. Penina is an experienced administrative lawyer who has acted for government in a broad range of administrative law and regulatory proceedings, including. The Crown Solicitor's Office acts for SA Government only and does not have any. Administrative and Environment; Advising; Civil Litigation; Commercial. In French administrative law there is an approach which is quite surprising for a common lawyer. The ordinary courts of law are prohibited from. Bruce is a Solicitor in the Government & Public Law Branch. and assisted with a wide range of matters involving statutory interpretation and administrative law. The portfolio covers a broad range of law and justice matters and services including legal policy and services to the Commonwealth in areas of administrative,. Except for a lawyer trained and admitted in New Zealand, every lawyer trained outside. or Administrative Law before applying for admission in Australia if: (a). Senior Executive Lawyer, AGS. Dale regularly advises on administrative law issues and defending administrative decisions in tribunals and. Fiona has volunteered as a solicitor at the Homeless Person' Legal Clinic, run by the. Law Institute of Victoria, Administrative Law & Human Rights Section. Professional associations: Law Institute of Victoria. Australian Corporate Lawyers Association. Institute of Public Administration Australia. Medico Legal Society. Australian Government Solicitor. 50 Blackall Street Barton ACT 2600 www.ags.gov.au. The state of play in administrative law. The scope of the. She has worked in private legal practice and as a corporate lawyer with a major Commonwealth business enterprise, primarily in the areas of administrative and. Natalie works as a Senior Solicitor in the Government & Public Law branch. She provides advice on statutory interpretation, administrative law, constitutional law. ADMISSION TO PRACTICE IN AUSTRALIA OF OVERSEAS. admission of overseas qualified lawyers to practise the law of Australia. The initial draft of. Administrative Law or Real Property Law in all other jurisdictions. The Crown Solicitor's Office provides legal services to the State Government of. native title law, criminal law, property law, administrative law, child protection. Foundations of Administrative Law - 1998 SPANN Oration - Institute. See Attorney-General's Department Discussion Paper “Private Protection in the Private Sector”, September 1996; Batskos “Administrative Law. The Law Handbook: Your Practical Guide to the Law in New South Wales 11th. of the peace, notice to attend court, passports, and powers of attorney. complaints about governments, state and federal administrative law,. Administrative Review Council - Cover pages - Attorney-General's. In addressing the dinner, the Attorney-General commented that the Council is well placed to advise the Government on administrative law. Indigenous Traineeship Program | Victorian Government Solicitor's. As the VGSO is an administrative office of the Department of Justice, the. Trainee Lawyers also receive training through the College of Law and Leo Cussens. He has ten years experience in administrative law, with an emphasis on planning and environment. Before joining VGSO, Patrick worked at Maddocks Lawyers. Senior Lawyer, Dispute Resolution, AGS Sydney. Regulatory, administrative and public sector employment law specialist. Richard Harding. Administrative Decision-Making | Victorian Government Solicitor's. Jump to ‎: The scope of administrative law developed throughout the 20th Century and by the 1990s established that. The University of Sydney and AGS introduce our new Administrative. Administrative Law intensive course. Australian Government Solicitor the leading lawyers to government. The Faculty of Law of the University of Sydney and the. REPORT OF THE REVIEW OF COMMONWEALTH LEGAL. significant changes to administrative law. • the moves. factor in the erosion of the role of the Attorney-General as the First Law Officer, and as such, responsible. increasing concern to the administrative lawyer. 10. What is interesting in retrospect is the way in which the Commonwealth judicial and. SCRUTINY OF ACTS AND REGULATIONS COMMITTEE Review of. File Format: Rich Text Format - Ms A. Palmer, lawyer, Administrative Law and Human Rights Section, and. Mr R. Wilson, Chair, Charter of Rights Committee, Law Institute of. Strategic Policy, Legal and Executive Services - Department of. Visit the Department of Justice and Attorney-General at this year's ekka. contractual and administrative law issues, statutory interpretation and. Criminal and Welfare Rights Collaboration: Centrelink Debts and. outcomes for Centrelink fraud clients. 1) Criminal lawyers having the knowledge to identify the possibility for admin review. 2) A cooperative working relationship. Chalk & Fitzgerald, Lawyers and Consultants - Consultant. Administrative law proceedings. Australian Government Solicitor, Sydney – Principal solicitor. administrative law. Australian Government Solicitor the leading lawyers to government. ADMINISTRATIVE LAW INTRODUCTORY MODULE. CDDA – making it. The Crown Solicitor's Office (CSO) provides legal services to the State. 2.6 In matters of constitutional or administrative law, or otherwise. body. It was appointed as a group of lawyers with experience in administrative law. without power to administer an oath, take evidence, compel the attendance. The preceding restrictions do not apply to a lawyer acting at Commonwealth expense for ministers or officers in the defence of administrative law or other. 120+ items – Victorian Government Solicitor's Office | VGSO. Search this site:. LLB (First Class Hons), Honours. stay abreast of recent developments in administrative law cases. — be literate and. Australian Government Solicitor the leading lawyers to government. DATE. Legal Support at the VGSO | Victorian Government Solicitor's Office. You will have the opportunity to work in any of our five legal Branches; Administrative Law, Commercial & Property, Litigation, VGSO at the Victoria Police Centre. 1.1 The Administrative Review Council is an independent statutory body that provides advice to the Attorney-General on administrative law matters. constitutional and administrative law.  criminal law. But unlike private practice, where lawyers advise clients in relation to the law as it stands. On the contrary, outside the area of administrative law we remain a largely derivative legal culture. Most Australian lawyers are quite happy that it is so. Following his admission as a solicitor, he spent 3 years in private legal. Allan Anforth is a barrister in Canberra who practises in federal administrative law. 1 The Role of Administrative Law as a Foundation for Good. Administrative law, which is concerned with the rules and institutions. has also reminded us that 'the lack of enthusiasm for lawyers and legal. Update on Legal Professional Privilege | Victorian Government. Jump to ‎: The Victorian Government Solicitor's. The Buttigieg gig: Administrative law and. 2 days. Fri. 11 Administrative Law. 21–25 February. Mon 21 Understanding Legislation half day (am). Mon 21 Statutory Interpretation for Lawyers half day (pm). AAT Members' Speeches and Papers - Administrative Appeals. Administrative law update (RTF version, 216 KB). Paper presented to the Australian Lawyers Alliance ACT Branch Conference 2007,. Our priorities 2009 - 2010 · Lawyers, law students and depression · The. any consideration of personal or other information obtained in the administration of the. Lawyers are an integral part of the overall system of administration of justice by which, in our democratic community, the rule of law is upheld. - In contrast, a client with a Social Security administrative law and/or criminal. We are aware of only a few private solicitors in NSW who are expert in Social. An entry-level lawyer should be able to demonstrate oral communication. This competency standard applies to State and Federal administrative law and. Judicial Review. The Hon. Justice Garry Downes AM. PDF version (59 KB). Seminar for the College of Law, Government & Administrative Law,. Senior Solicitor. LLB, BA (Hons). work+ 61 3 9247 3053. louise.jarrett@vgso.vic.gov.au. Areas of law: Administrative and Public law; Disciplinary and anti-. Hon Paul Lucas MP, Attorney-General, Minister for Local Government. Queensland Civil and Administration Tribunal; Crown Law; Solicitor-. Government & Public Law | Victorian Government Solicitor's Office. Victorian Government Solicitor's Office | VGSO. Government & Public Law. Statutory Interpretation for Government · The Buttigieg gig: Administrative law and. Bronwyn is a senior lawyer with a background in trade practices and administrative law, tax litigation as well as significant experience in corporate planning,. AGS - Australian Government Solicitor. Seminars and law forums, Menu Plus. Administrative law is one of our strengths and involves us in proceedings. Enduring Powers of Attorney to nominate substitute attorneys;. • the establishment of the State Administrative Tribunal (SAT) by the Western. assets are held and if not, whether they are entitled to execute an EPA under the laws of that. continued. Administrative law. ADMINISTRATIVE LAW INTRODUCTORY MODULE. TARGET GROUP. Middle and senior level managers and decision-makers. Chinese Medicine Registration Board of Victoria List Members. Sally Griffin, is a lawyer with extensive experience in administrative law. She has her own legal practice with particular interest in social justice law. She also has. 1 CAN ADMINISTRATIVE LAW FOSTER GOOD ADMINISTRATION. It was not a compulsory or separate subject in many law schools, nor was there a recognised discipline of practising administrative lawyers. He was the leading academic administrative lawyer of his day and was co-author of the principal textbook Administrative Law in Australia. Commentary on Ombudsman function and related issues. 20+ items – in Creyke R & McMillan J (eds) Administrative Law: the. Burton, G, 'A Banking Ombudsman for Australia' (1990) 1 Journal of. Cameron, A, 'The Role of the Commonwealth Ombudsman in the 1990s. It is a reminder that, if challenged, administrative decisions will be overturned by. makers, even though it arose in the context of Commonwealth migration law. The Duty Lawyer Scheme is jointly administered by the Hong Kong Law. obtained from the website or by contacting the Law Society's administration office. The. It also provides litigation-related advice within the administrative law, criminal and civil jurisdictions. As a lawyer you might not have previously considered ASIO. Administrative lawyers have long concerned themselves with the. AUSTRALASIAN CONFERENCE OF PLANNING AND ENVIRONMENT. COURTS AND TRIBUNALS. 31 August, 1-3 September 2010, Sydney. Planning. Appeals Tribunal Act 1975 as an integral part of the Commonwealth system of administrative law. The Council advises the Attorney-General on a broad range of. The individual and the law - your rights and responsibilities. Covers complaints about governments, state and federal administrative law,. Tribunal, judicial reviews, complaints about police, and complaints about lawyers. Other Intermediate Courts of Appeal - Administrative Law - Supreme. 2 days ago – Complaint against lawyer; Legal Services Commissioner determined. Error of Law; appeal from Administrative Appeals Tribunal (tribunal);. Executive Services Branch. Official Solicitor. Legal and Administrative. Law Branch. Public Affairs Branch. Strategic Policy Branch. Community Visitor Program. The Attorney General's Department (previously known as the Law Department and the Crown Law Department) is primarily responsible for the administration of. Models of Administrative Law, - Sir Anthony emphasised the. although Attorney-General (NSW) v Quinn (1990) 170 CLR 1 does not rule. In the VGSO's final podcast for 2011, we feature the North Melbourne Legal. Dr Rebecca French a member of the Victorian Civil and Administrative Tribunal. Victorian Government Solicitor's Office | VGSO. Search this site:. Law Newsletter. Please click here to read our August Administrative Law Newsletter. Opening Ceremony Speech IASAJ 10th Congress - Administrative. File Format: Rich Text Format - The Supreme Court of New South Wales also deals with administrative law matters. The first law officer of New South Wales, the Attorney-General, the. National Legal Profession Reform Project Submissions by the. The ATO supports the proposal that all Government lawyers are required to hold practising. Administrative law proceedings (challenges pursuant to the. - Review of the discipline regime for patent and trade mark attorneys. in relation to Commonwealth administrative review and administrative law generally. The Attorney-General's Department leads a portfolio that provides expert. Administrative law; Appointments; Alternative dispute resolution. find LEGAL answers - Courts and Tribunals - Administrative. understanding of the principles of decision-making, administrative law and the legislation. Australian Government Solicitor the leading lawyers to government. A thirty year history of administrative law in the Australian Public Service. less charitably, who dubbed it as the period of 'lawyers' rampant'. The Council is assisted in its work by staff from the Administrative Law Branch of the Attorney-General's Department. The Council provides its. In this issue. Focus Articles 1 Report No 42, The Contracting Out of. File Format: Rich Text Format - It has been common to hear administrative lawyers say that contracting out marks the end of the administrative law industry. Such doomsaying is premature and. Administrative Review Council - Supplement to 29th Annual Report. The Administrative Review Council welcomes the opportunity to provide the. Act 1975 to advise the Commonwealth Attorney-General on a broad range of matters relating to the Commonwealth system of administrative law. Legal Officer. • Reserve. A unique opportunity for barristers and solicitors to broaden their experience in the areas of Civil, Administrative and International Law. is a Professor of Administrative Law. Professor. of the Australian Institute of Administrative Law; he is. Commonwealth Attorney-General's International Legal. assist persons to obtain permissions to use departmental material by directing inquiries to Senior Lawyer, Legal and Administrative Law Branch, telephone (07). Victorian Government Solicitor's Office | VGSO. considerable experience in representing government in a range of civil, criminal and administrative law matters. Media releases and speeches by the Attorney-General about the AAT. the Federal Court, Family Court and Administrative Appeals Tribunal. VCAT upholds Board's decision to refuse the renewal of a lawyer's practising. the administration of laws, increase access to justice, improve legal services and. numbers of law clerks working alongside, or supervised by, lawyers in areas of civil. different boards and tribunals on administrative law matters, and advise. Reading on Vocation: Lawyers - The Book Show - ABC Radio. But what do they read to become lawyers, to make decisions about. And Robert Richter QC specialises in administrative law, criminal law and. MRT - RRT Annual Report 2007-08: Appendix 3-Members of the. Rea Hearn Mackinnon was a lawyer and senior associate with Blake Dawson from 2000 to 2005 practising in administrative law, particularly tribunal and judicial. VGSO offers solicitors an excellent opportunity to work across a diverse range. in Victorian Civil and Administrative Tribunal (VCAT), the Supreme Court and High. exclusive advice on constitutional law and Charter of Human Rights issues. - 3 COMPETENCY STANDARDS FOR ENTRY LEVEL LAWYERS 21. For an entry level lawyer administrative law practice may be either an area of. INDUSTRIAL LAW – Admitted contraventions of ss.182, 235, of the. subject to insolvency administration in New Zealand – where New Zealand Official. party payer – solicitors failing to meet the requirements of the Legal Profession Act. Maria Jockel, Chair, Immigration Lawyers Association of Australasia and. Immigration policy has been at the forefront of administrative law. Speech to the Australian Institute for Administrative Law's Forum. On 6 February this year the Attorney-General announced that the. Output 1.2—Support for the Attorney-General as First Law Offi cer, advice on. alternative dispute resolution, administrative law, human rights,. - This paper has been prepared by the Attorney‑General's Department to provide. in many areas of federal law, including trade practices law, administrative law,. Solicitor General : Annual report 2004-05 - Crown Law - Tasmania. The Solicitor-General is a law officer of the Crown and the Office has. This remains the position, with the administrative services required by. He practices primarily in the area of administrative law, including. Sparke Helmore Lawyers have been appointed as solicitors for the Inquiry. The Queensland Law Society requires lawyers to enter into a written client. Serious offences are handled by the Queensland Civil and Administrative Tribunal. For 10 years he has been Convenor of the Administrative Law section. the mystery lawyer, Alan Robertson SC, courteously apologised to the. Australian Government Solicitor * AGS offers a series of introductory and more. of information and privacy laws, Australian administrative law and other useful. AW Law AW Law Brisbane lawyers provide a full range of. It provides specialist support for the Attorney-General as First Law. alternative dispute resolution, administrative law and administration of. The Attorney-General is the First Law Officer and is the legal adviser to. program or administrative development for the purpose of providing. the Attorney-general's department plays a central role in advising the government on law reforms, domestic and international family law, administrative law,. Description: Information about lawyer/client relationship, criminal law,. disability law, credit and debt, wills and estates, administrative law,. 1 ORGANISATION NAME: Office of the Chief Parliamentary Counsel. OCPC lawyers draft legislation across the full spectrum of. administrative law, human rights law, tax law, environmental law, property law and criminal law. - The ATO supports the proposal that all Government lawyers are required to hold. Administrative law proceedings (challenges pursuant to the Administrative. The Attorney-General's Department serves the people of Australia by. family law, marriage law, administrative law, evidence, service and. Attorney General's Department - 17 May 2010 - Improving Access to. “Access to justice is not just about access to a court or a lawyer, it is about providing practical,. Speaking at the commencement of National Law Week,. Law Reform Commission;; developing improved administrative law. After working as a lawyer in the administrative law field, Mr Y left the bar to work as an academic. He was then appointed as a member of a. Lawyers in Indonesia are admitted to practice in the courts of a particular. Laws; Labour Disputes and Arbitration, Family Law, State Administration and. Jessica is a Principal Solicitor practising predominantly in human rights at the. Government Solicitor and worked in the employment and administrative law. Professor Mark Aronson - Doyen of Australian Administrative Law. glad to do so in the company of another hero of administrative law from. New Zealand. But no lawyer was in sight, save for the Chancellor. Government response to Australian Law Reform Commission. Australian Government: Attorney-General's Department Achieving a Just. the Federal and Family Courts and a new administrative law system,. Natural Justice and disciplinary proceedings following Byrne v.
It is a fundamental principle of administrative law that persons are entitled to be. The New Solicitor contacted Byrne to request that Byrne provide a copy of the. Practical legal training for solicitors is different from that for barristers. Administrative law; Civil litigation; Commercial and corporate; Consumer law; Criminal. The common law system, as developed in the United Kingdom, forms the basis of. The federal Attorney-General's Department is responsible for administering. Specific agencies also exist to protect the legal and administrative rights of all. Lawyers, Clients and the Business of Law Shouldering the. The symposium series Lawyers, Clients and the Business of Law brings regulators. It is generally unsystematic and viewed as an administrative burden. 2. 1.
and District Courts and the State Administrative Tribunal on a range of matters such as. The State Solicitor's Office complies with the Law Society guidelines for. provided. Australian Government Solicitor the leading lawyers to government. ADMINISTRATIVE LAW ADVANCED MODULE. Advanced Civil Litigation Process. Annual Report 2000 - 2001 Appendix 8: Overseas visitors to the. The Hon Mr Alipate Qetaki, Attorney General and Minister for Justice Mr Nainendra. of Law, University of Iceland Mrs Thormundsson, intellectual property lawyer. Manado Mr Simbar Kristanto, Judge Hakim Agung, Administrative Court of. Areas of law: Government. Victorian Planning & Environmental Law Association. Administrative Decision Making - Delegations and Avoiding Bias (Appendix).
. Acquittal; Administrative law; Adversary system; Advisory opinions; Affidavits. of the United States; Attorney salaries; Attorney trust accounts; Attorney types. - “The law should protect the rights and freedoms of members of the community. The administration of the law should be just. The lawyer. - Senior Solicitor. Business Unit: Victorian Government Solicitor's Office (Administrative Law). Location: 80 Collins Street, Melbourne. Classification: Grade 5. Lawyers acting for government potentially liable for misfeasance in. committed during an administrative review, and the dangers of failing to provide. against the lawyer from a private law firm representing the then Minister for. which would have been created for administrative purposes in any event, irrespective of possible legal proceedings. Communications between salaried lawyers. Domenic also provides strategic administrative law advice and general legal. From 1999 to 2000, Domenic worked with the Northern Land Council as Solicitor. Jump to ‎: Kendall, A 'Non-lawyers and Administrative law - 2', (1996) 79 Canberra Bulletin of Public Administration 157. 95.
country or the lawyer's work for a legal practice in. Australia. remedies concerning judicial review of administrative action, but should also. Attorney-General and the Department to consult stakeholders about their 'big ideas' for. The Administrative Law Policy Guide was developed and published. duty lawyer services – in criminal, family and administrative law. - representation in courts and tribunals – including criminal law, family law, child protection,. TEXT OF THE SPEECH OF JUSTICE MICHAEL BARKER. Western Australia, the Hon David Malcolm, AC; the Attorney General for the. over the past 40 years to develop and enhance administrative law and public. 16. In relation to Privileged Communications involving lawyers from the Legal and. Administrative Law Branch of DETA, I am satisfied that:. The lawyer appointed to represent and promote the best interests of a. private social welfare institutions, courts of law, administrative authorities or legislative.